Candlelight flickered and cast a warm glow inside the old log house. Dinner was long finished and the remnants stowed away for another day. The children were scrubbed clean, cozy in their pyjamas, and eagerly awaiting the arrival of St. Nick. A candle burned low, sputtered, and went out. “Maman, you have to find another candle.” The mother, prepared for this eventuality, placed a fresh candle to join the others on the Christmas tree. A pine tree. With needles drying out by the second. A. TREE. Adorned with open flames. This is one of my earliest memories of how we decorated for Christmas each year in Germany and a tradition we brought to Canada when we emigrated. We moved to a 19th century log home north of Toronto on our arrival to Canada, and while our family continued many of the same traditions we’d known in Europe, the candles were discarded after two seasons. The habit of deliberately lighting a tree on fire inside a log house became too ridiculous to continue. You’re going to need a tree. Kind of obvious, but who hasn’t frantically searched through Charlie Brown-style trees because they left it too late? Fancy a (formerly) live tree or do you prefer an artificial one? Both work just as well and some families opt for two: one that serves as a focal point where Santa leaves the presents and another to display homemade decorations. Don’t be a Grinch; do it for the kids! There are lots of ideas to choose from: reindeer, bears, Snoopy (though technically not a woodland creature), or create a lighted forest with prewired artificial pine trees. If it were up to me I’d have a scene from Narnia in my front yard. There’s something about framing the entrance to a home with greenery, which can be left as is or covered with lights that is welcoming, and the artificial garlands available now are durable and look real. A door without a wreath is naked; nobody wants to be naked on a cold, winter day. Are you crafty? In that case start with a blank canvas and festoon away. If you’re the opposite of crafty, it’s not cheating to buy a pre-made wreath that suits the colour of your entrance. This is where we debate an age-old question: White or multi-coloured lights, and how many of them do we use? The answer is: IT DOESN’T MATTER! What matters is that you and your family like them and they make you happy; cover your house with as many lights as you want. 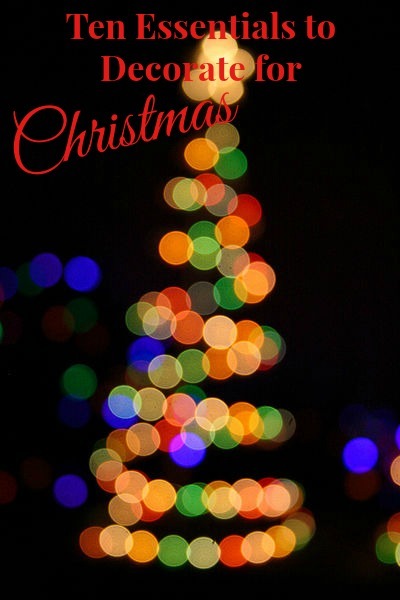 LED Christmas lights are energy efficient anyway and tough enough to withstand Canadian winters. Some people have stockings that have lasted years and have come to them down through the generations. Others have pets that like the taste of chocolate-flavoured felt and the Christmas stockings have a hole where the toe should be. Remember to buy new stockings, or what will you hang by the chimney with care? See the point above regarding white or multi-coloured lights. There are no hard and fast rules, but a general guideline to follow is whatever amount you think will do, multiply it by two. Don’t forget to check that the strands work before wrapping the tree with them. There’s nothing sadder than a tree with lights twinkling only on the back half. 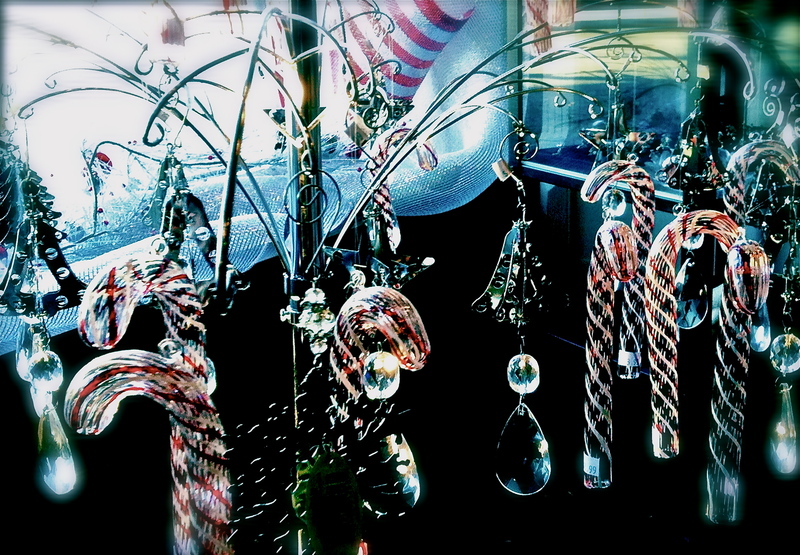 Stars, angels, orbs of light…you choose what tops the tree; anything but a live kitten who’s worked her way to the top. We’re a star family and found a great one that also lights up, and decorations are a hodgepodge of school crafts, family heirlooms, and new purchases. Decorating a tree with kids is fun, once you let go of any need for symmetry or order. Setting up the tree is a team effort that requires muscle (my husband to set it up), sharp eyes (my daughter and I to correct the lean), and more muscle (my son who holds the tree upright while it’s set in place). Once the tree has stopped moving, the lights and garlands go on, and then the kids place the ornaments at whatever height they can reach. This system requires a bit of crafty help by the parents to make sure not everything sits at knee-level in the early years, but it makes for a happy family activity. Do it for the kids! It bears repeating. While having a lot of ornamental, dust-collecting items around might not be your usual decorating style, everything changes at Christmas. Christmas Villages are where it’s at for one very brief moment in time. Embrace it! 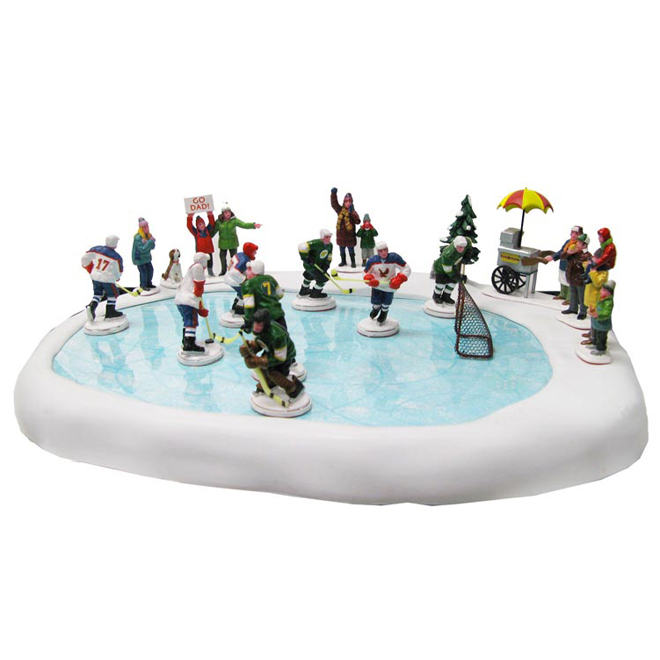 We love our musical figurines and snowmen that adorn every surface, and the collection grows each year whenever we head out to shop. It’s scientifically impossible to decorate on an empty stomach. We’ve all heard of being hangry; it’s an affliction I’m familiar with since several members of my family suffer from it. Pull out the treats, mix a drink, turn up the music, and have a holly, jolly time decorating your house. CAVEAT: Save the drinks for after the outdoor lights are put up. 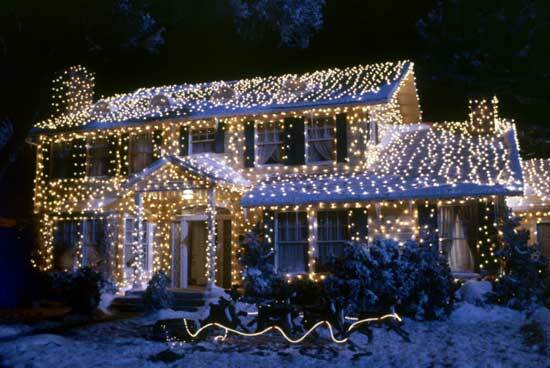 So, are you Clark Griswold or a minimalist when it comes to Christmas decorations? What decoration can’t you live without? Special thanks to Rona for inspiring this post on Christmas essentials. We will make it festive on the weekend! Advent Calendars are set to GO on Monday! Hard to believe! I love Advent Calendars! We’ll be starting the decorations soon too. The Things love them! It’s such a fun way to spend the month in anticipation for Santa’s arrival!